Now that the rain has finally subsided, we’re well into league play in all our spring sports. 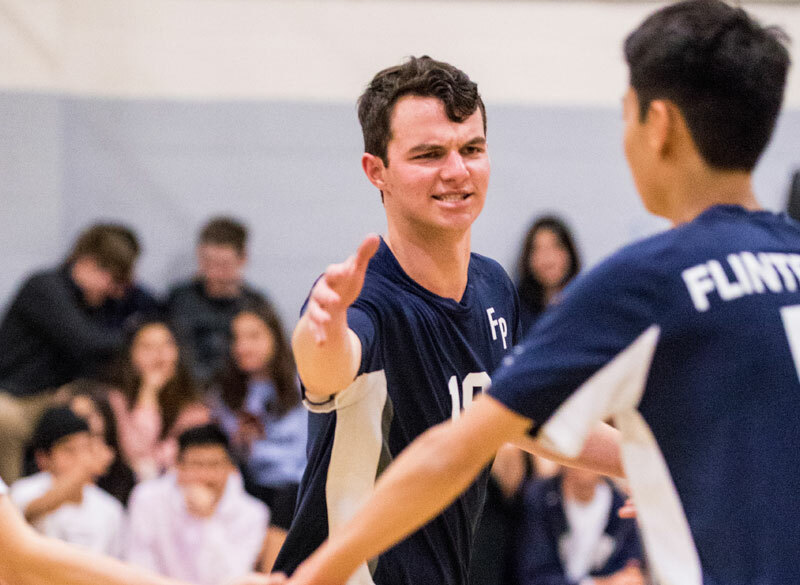 In boys volleyball, AJ Nicassio hit an impressive milestone last week with his 1,000th kill. The team has had a great season and is currently 14-1 overall and 6-0 in league. Meanwhile, the softball team had a strong game against Providence this week, beating the Pioneers 12-4. Baseball had a league win against Rio Hondo and is currently ranked sixth in CIF. Have a great weekend, and don’t forget to root for the Rebels! No matter how your brackets turned out, there is no question that this year’s NCAA basketball tournament epitomized its name “March Madness.” Now that we’ve all come down from the excitement of the Virginia vs. Texas Tech game, we can celebrate one of our own heroes. We’ve included in this week’s roundup an article from the Outlook about our own Robert Cartwright ’14. It’s a great look at how Robert contributed to the Anteaters’ first-ever NCAA tournament win.